Centrifugal Pumps: A machine for moving fluid by accelerating it radially outward. More fluid is moved by Centrifugal Pumps than by all other types combined. Centrifugal pumps consist basically of one or more rotating impellers in a stationary casing which guides the fluid to and from the impeller or from one impeller to the next in the case of multistage pumps. Impellers may be single suction or double suction. 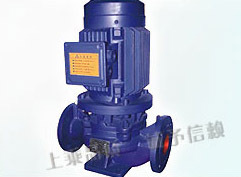 Additional essential parts of all centrifugal pumps are (1) wearing surfaces or rings, which make a close-clearance running joint between the impeller and the casing to minimize the backflow of fluid from the discharge to the suction; (2) the shaft, which supports and drives the impeller; and (3) the stuffing box or seal, which prevents leakage between shaft and casing. 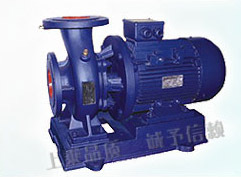 We are specialized manufacturer&supplier of Centrifugal Pumps in china, Our main products are pumps and matched valves.